“Knowledge management” is a concept originating in the 1990s, when academics (primarily Nonaka, Takeuchi and Davenport) developed the idea of this new discipline. One of knowledge management’s key objectives is to use company practices and technologies to leverage corporate knowledge. Traditional knowledge management systems are focused on the ability to capture knowledge in centralized systems and make it available at a later date. However, this first step had so little success that at the beginning of the new millennium knowledge management seemed left for dead. But the advent of Enterprise 2.0 (2006) has given new life to knowledge management thanks to the shift the focus from the “knowledge” itself to the individuals who hold, share and use it. In some ways the new practices and technologies introduced by enterprise social collaboration have distorted the perspective of how to leverage employee knowledge through a new model of creating, sharing and using knowledge. This “network” effect has allowed us to connect people with the purpose of sharing knowledge, making that knowledge more easily accessible. Thus, a new era opened for knowledge management through the “knowledge-sharing” and “collaboration” movements. But let’s get to the point. 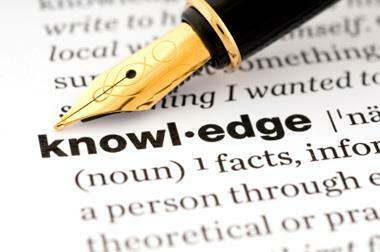 What are the reasons why knowledge management is necessary? Employees can improve the quality and speed of decision-making by accessing the knowledge of the entire organization when they need it. When making decisions, enterprise collaboration tools facilitate the access to opinions and experiences of different people, which may contribute additional perspectives to the choices made. Enable and encourage the sharing of ideas, collaboration and access to the latest information. Knowledge management enables individuals to stimulate innovation and the cultural changes needed to evolve the organization and meet changing business needs. With faster access to information and resources across the organization, knowledge workers can act quickly. A study conducted by McKinsey & Co. in November 2011, wherein more than 4,200 executives were interviewed worldwide, showed that the use of social collaboration technologies has improved business processes and the organization’s performance in general. The sharing of knowledge and cross-collaboration help to increase the value offered to customers. The organization is able to give faster answers or shorten the time it takes to improve a product or service. According to a study by Gartner (2014, Knowledge Management Will Transform CRM Customer Service, behind a paywall), improving access to contextual knowledge by an employee or a client reduces the time that a provider requires to give an answer by 20-80 percent, increasing customer satisfaction. Also, an organization can reduce the cost of customer support by 25 percent or more, when using appropriate knowledge management activities. Of course, in this context, technology plays a very important role: it must not be perceived simply as an enabling tool, but as a driver for new collaborative practices and sharing of knowledge. Modern business communication and collaboration solutions are limited at times to include the latest trendy features, often following the trends coming from the consumer world. In fact, after the enterprise social networking trend, currently we are witnessing the advent of “corporate chat,” following the success of consumer apps such as WeChat and WhatsApp. Organizations considering the adoption of new communication and collaboration tools must also define their product strategy with respect to knowledge management. Because today’s conversations are tomorrow’s corporate knowledge, if a tool fails to capture and archive these communications as they happen, the corporate knowledge will be lost forever. The Latin saying reads, “Scientia potentia est”—”Knowledge is power.” But it is equally true that sharing what we know greatly increases the power of our organizations.